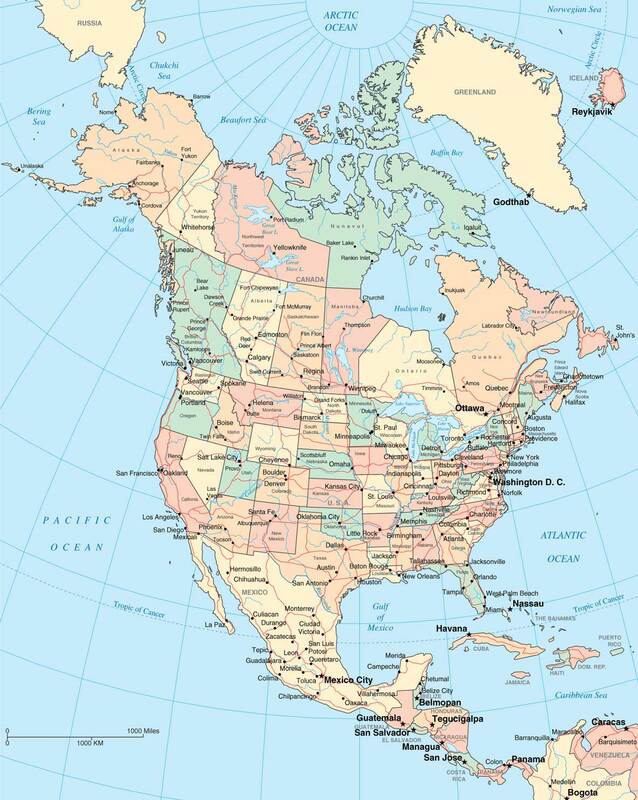 North America includes The USA (United States of America), Canada and Mexico. When planning a vacation it is always good to consider a map of the region you will be travelling. North America has some of the worlds premier tourist destinations under it’s umbrella. All three countries that make up North America are veterans of the tourist trade and all forms of travel are well catered for. When planning a trip to this part of the world you are well served by looking over a map and choosing the destinations you are most interested in. Here are some interesting facts about this continent. The three main countries considered part of North America are as follow The United States of America (USA), Canada and Mexico. North America is the northern most continent of the Americas, situated in the Earth’s northern hemisphere and in the western hemisphere. The Oceans that border it are Arctic Ocean to the North and Atlantic Ocean to the East and the Pacific Ocean to the West, to the southeast is the Caribbean Sea, South America lies to the southeast. 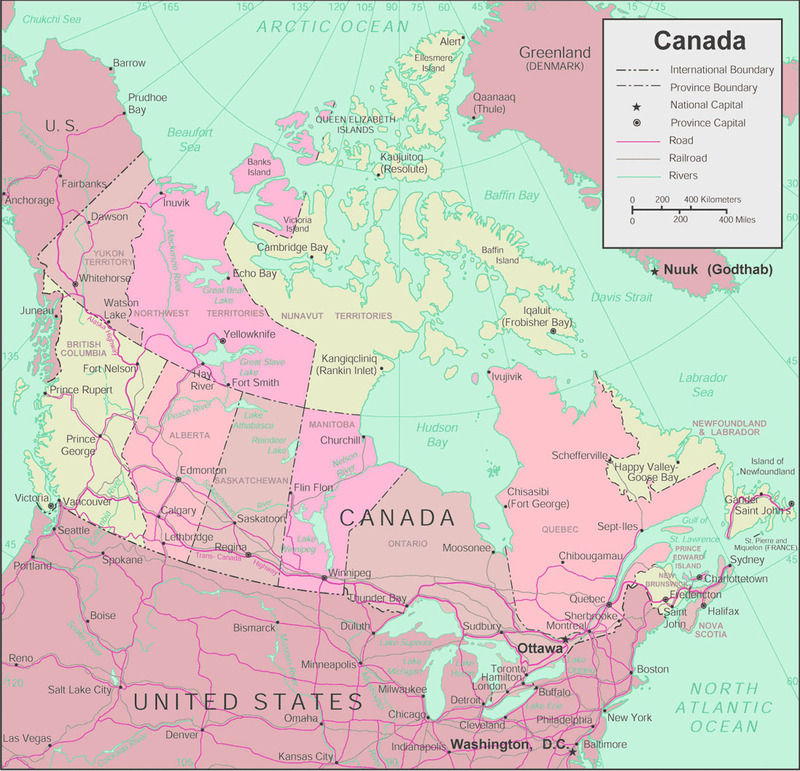 North America covers an area of about 24,709,000 square kilometres which is about 9,540,000 square miles, that is about 4.8% of the planet’s surface or about 16.5% of its land mass. It is the third-largest continent in area, following Asia and Africa, and the fourth in population after Asia, Africa, and Europe. We have added a road map of the USA for 2019. The United States of America (also referred to as the United States, the U.S., the USA, or America) is a federal constitutional republic comprising fifty states and a federal district. 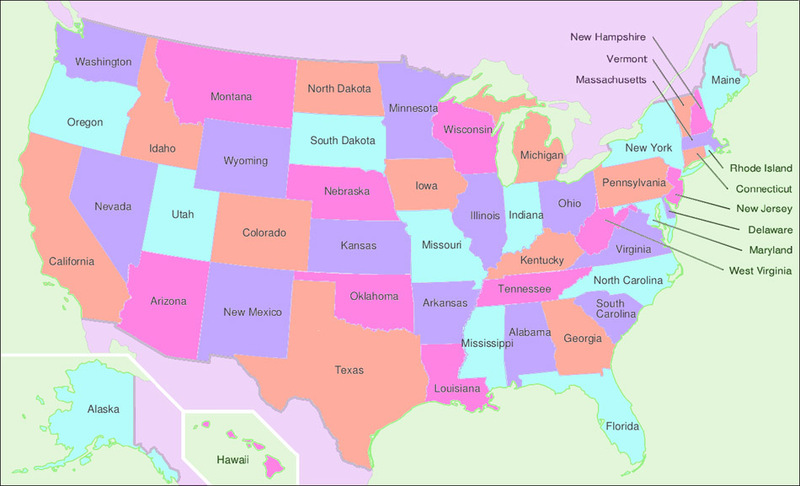 Central North America is where most of the States are situated. The 2 states that differ from this rule are Alaska and Hawaii. It is bordered by Canada and Mexico. The two oceans that also border the USA are The Pacific to the west and the Atlantic to the East (see map of the world. The Land Mass is approximately 3.79 million square miles which is approximately 9.7 million square kilometres. The United States is usually considered the 3rd largest country in the world after Russia and Canada, although this fact is being disputed. See here for more information about this Wikipedia – List of countries and outlying territories by total area.